"It's our hope the days of ulcerations and amputations are behind us!" -Dr. Doperak. 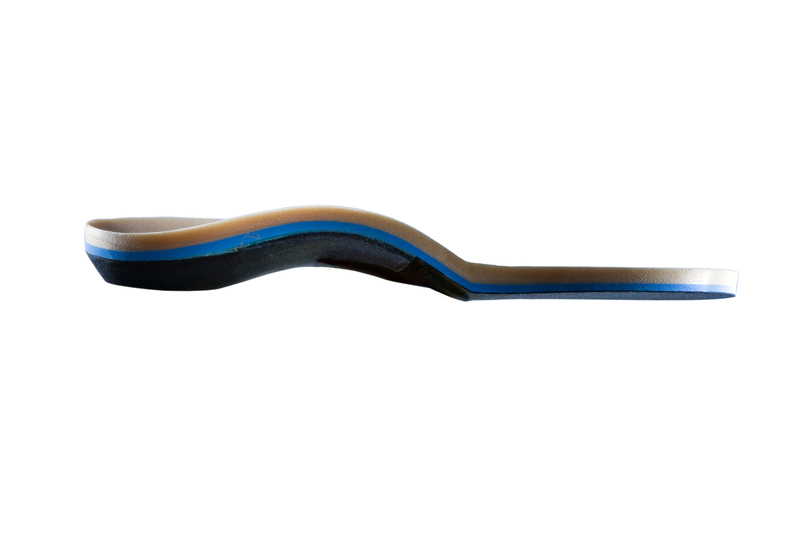 Arizona Orthotics, the next generation of custom foot orthotics, is pleased to introduce its latest orthotic, the calibrated diabetic foot orthotic. According to Arizona Orthotics, approximately 84% of amputations among people with diabetes are preceded by a foot ulcer. The new optical calibration orthotic uses softer plastic to distribute repetitive force equally across the foot. This custom orthotic helps prevent foot ulcers that often lead to amputation. Until now, calibrating the softer plastic shell proved difficult and required significant experimentation. "Using our previous generation calibration machine, a sharp pin was inserted into a calibration reference point on the bottom of the plastic shell. Soft compressive materials were either pierced or compressed during this process. Therefore we chose not to offer an uncalibrated EVA product, since it did not offer consistent results," explains world-renowned Dr. Edward Glaser, DPM and founder of Sole Supports™. This new and exclusive optical calibration means the softer plastic shell is fine-tuned to flex specific to body weight, foot flexibility, and activity level when applicable. Optical calibration is how an ordinary orthotic is transformed into a made-from-scratch custom foot orthotic able to distribute repetitive force equally. “We're thrilled to finally offer a calibrated diabetic orthotic that's made with such specificity and with so much care," continues Dr. Doperak. Exciting news only gets better thanks to plastazote®! Plastazote foam topcovers adorn this made-from-scratch diabetic orthotic. Plastazote foam is produced using only pure nitrogen whereas other foams contain chemicals that can irritate the diabetic's sensitive foot. Plastazote is an industry standard due to its ability to conform rapidly. In other words, this topcover fits-like-a-glove; it's just what the doctor ordered. "Finally, an optically calibrated fine-tuned custom foot orthotic designed specifically to meet the needs of the diabetic! It's our hope the days of ulcerations and amputations are behind us," concludes Dr. Doperak. All orthotics are NOT created equal. Arizona Orthotics is your local resource for the best custom foot orthotic money can buy - Sole Supports™. Made from scratch and precisely calibrated to body weight, foot flexibility and activity level. Welcome to the next generation of custom foot orthotics! Learn more by visiting http://www.arizonaorthotics.com. Dr. David J. Doperak BS DC NSCA-CPT is an Arizona licensed Doctor of Chiropractic with a post-graduate certification in spine remodeling. Dr. Doperak earned his second post-graduate certification from Sole Supports™ after developing a passion for foot biomechanics and mechanical engineering. Sole Supports™ is the brainchild of world-renowned Edward Glaser, DPM who served in private practice for 13 years before earning a substantial national and international reputation for re-visioning and re-engineering the ideal way to correct poor biomechanics in the foot and lower extremity.